You may have some DVD movie IFO files and want to convert IFO to AVI so that you can watch the movies on your portable devices on the go or easily share with family and friends. IFO is a DVD file type that stores information about chapters, subtitles and audio tracks. To extract video content from IFO files, you will need a professional DVD ripping tool, which can handle this process with ease. 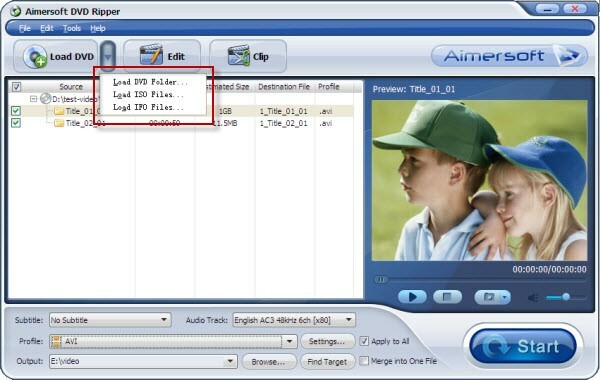 Among various DVD ripping program, Aimersoft best Windows DVD ripper is just the right one to help you rip IFO files to AVI videos with ease. It can rip and convert IFO files from a DVD disc to AVI, WMV, MOV, MP4, FLV, 3GP and many other popular video format. The built-in video editing tool also allows you to customize the IFO files and you can trim or merge the files as you like. Appending special visual effects and adding watermarks/subtitles are also supported. Beside, this IFO to AVI converter works well in Windows operating system, including Windows 8. Of course, there is also a Mac IFO converter available. The Mac version called Aimersoft DVD Ripper for Mac is also available. Just free download it now and follow the guide below on how to convert IFO to AVI video files in just a few mouse clicks. After downloading the right version, install and run it. You can accomplish your task in the following three simple steps. Note that the below guide uses DVD Ripper for Windows screenshots. Add the IFO files you want to convert to the ripper by selecting "Load IFO Files". There is a viewing window on the right for you to preview the loaded files. You can also adjust the parameters of the video like the volume and take snapshots of your favorite scenes. Click "Profile" and choose the output video format as "AVI". Besides AVI, you can also convert IFO to all other popular video formats, such as MP4, MOV, MKV, FLV, ASF, WMV, MPEG, etc. 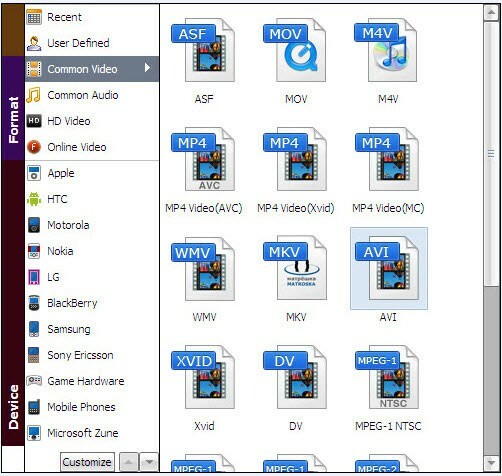 In addition, more than 150 video presets for portable devices like iPhone, iPad, iPod, Archos, Zune, Zen, Xbox, PSP, etc. are provided to let you get videos with the best settings to play on a certain device. After all necessary settings, simply click the "Start" button on the main interface to start converting IFO files to AVI videos. When the conversion is done, hit "Find Target" to locate the converted AVI videos. If you were a teenager in the 90's, then you probably have a big collection of DVD just like I do. I regret a whole lot buying up all those DVDs of course lol, but I'm stuck with them, so it's too late to regret. I don't like dozens of DVDs cluttering my room, so what I do with them is I convert the IFO files to AVI and store them in my external hard drive. That way is easy to access them and the DVDs can stay in the basement. It's kind of like extending the 90's technology into the new era.